The winter season turns Bengal into a happening place. The pleasant weather instigates people to venture outdoors. This may be one of the reasons why there are so many fairs held during this season, allowing the visitors to bask in the pleasant December sun. So, if you are planning on an extended outdoor trip then the Poush Mela in Shantiniketan, one of the best fairs in the state, is a must visit. Maharshi Debendranath Tagore, father of Rabindranath Tagore fell in love with Santiniketan while on a casual trip to this tribal land, and built the place that later became the centre for art and culture in Bengal. He embraced “Brahmo Dharma”, started by his father’s friend Raja Rammohon Roy. He embraced this new faith on 7th Poush (as per the Bengali calendar), which generally falls on December 23 every year. As a memorabilia of this occasion he started the Poush Mela where the young artists would meet with the local people and exchange their ideas. What started as the celebration of a new social movement has now become a fair for exhibiting the art and handicraft skills of Bengal’s local artisans. Visitors from all over the world visit this elaborate fair to immerse themselves in the true culture of Bengal. Exact Venue: Bhubondanga’r Math (outside the Shantiniketan city). There are two distinct sections of the fair as mentioned below. Exhibition Ground: It houses the main attraction of the fair with stalls by artists, sculptors and painters. 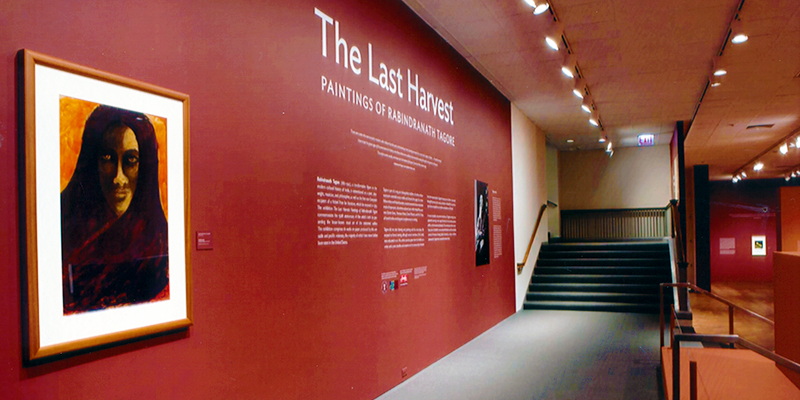 The artists include students and teachers of Kala Bhavan (Shantiniketan’s school of art) as well as emerging and established artists from Bengal. 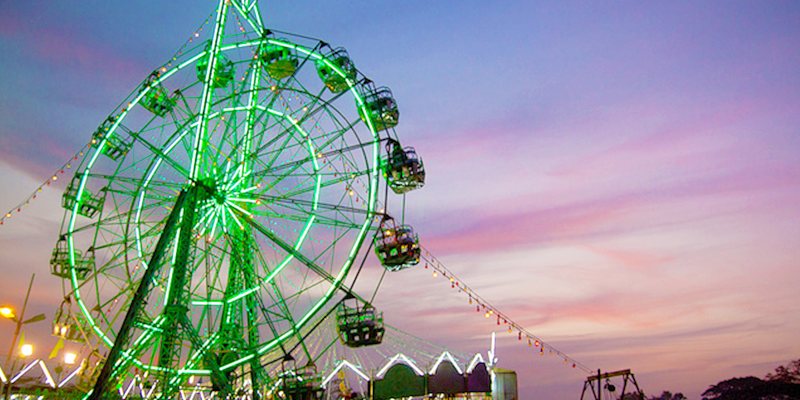 Fair Ground: It has everything from food stalls selling regional as well as Indian delicacies, books, clothes, handmade embroidered products to even cars! This is also the section where cultural activities such as singing, dancing and plays are held. Tip: There are no sitting arrangements on the fair ground, so be ready to stand and watch the performances or bring your own sitting arrangements like folding mats. Baul Songs: These soulful, melodious and devotional songs are sung by Bauls, who come from various “akharas” in Bengal. Many internationally recognized Baul artists perform here, but there is no fixed schedule for the performances. So, keep an ear and you may be able to listen to some soulful songs. 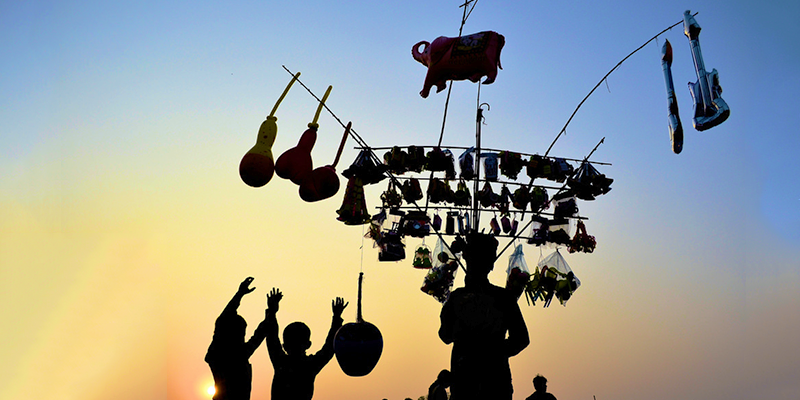 Jatra: It was and still is the most popular form of entertainment in rural Bengal. Keeping up with the tradition, these shows are held during the evening hours at the mela ground. Jatras are musical plays, full of loud music, melodrama and sometimes even carry satires on social issues. Leto: Another very popular evening performance is ‘Leto’, a skit type drama performed by amateurs from the nearby villages. 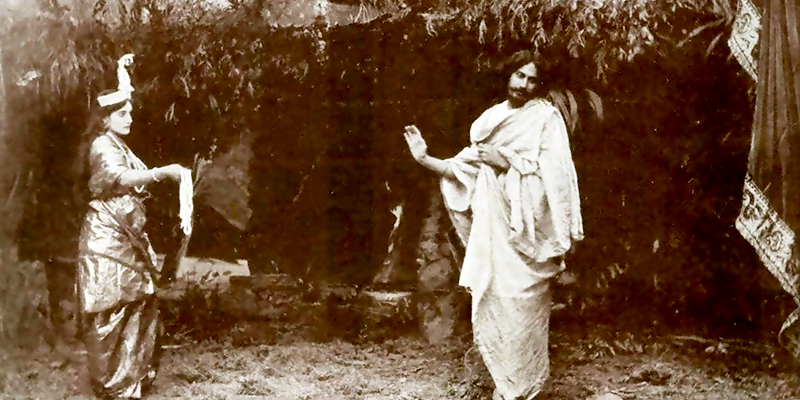 Earlier, such skits were full of vulgar language and were ribald in nature; but under the influence of Rabindranath Tagore, they became moderate in tone and today, they depict issues faced by villagers. Most of them are humorous or satirical in nature. This form of play is native to Birbhum district. 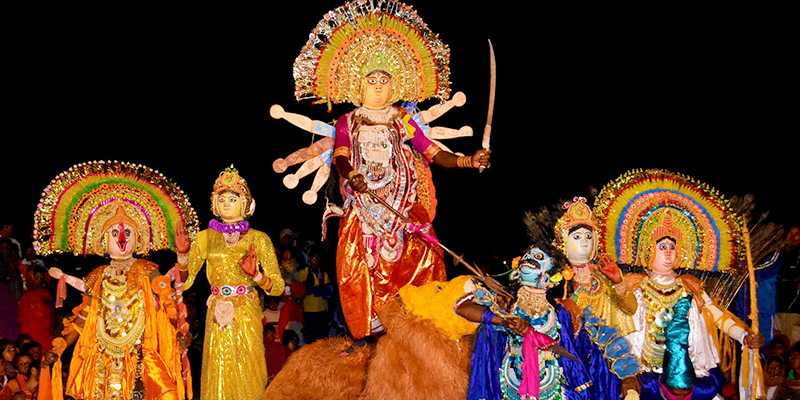 Villages around the city form acting troops to perform during the Poush Mela. Chau Dance: One of the most popular tribal dance forms of Bengal. The dance here is a mixture of martial arts and acrobatics often performed wearing masks. The theme of the performances is taken from the great epics – Mahabharata and Ramayana. Traditional music and songs accompany the on-stage performance. Chau dance is a much anticipated event for all the visitors. The shopper in you will be spoilt for choices in this fair. From paintings, metal sculptures, Dokra items, traditional sculptures, handmade ornaments to handmade embroidery clothes – you can shop here to your heart’s content. 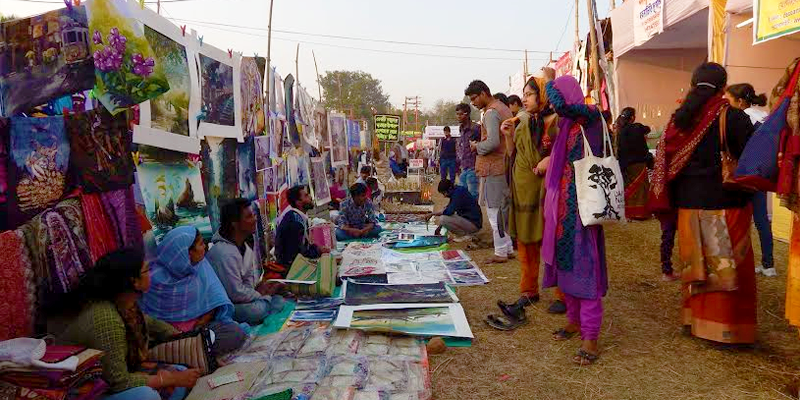 Tribal artists are a big attraction of Poush Mela. Traditional tribal art and handicraft items like Dokra, wood carving, metal ornaments are hot sellers. Tribal and rural cooperative societies from all over India come here to sell their unique products and to showcase their talents. Tip: Don’t worry about cash crunch. The Shantiniketan Mela Committee are arranging for POS machines, online and other digital payment methods would be available at big shops. However, the smaller shops, especially those run by tribal craftsmen and small traders may not have this facility, so make sure you have some cash at hand. 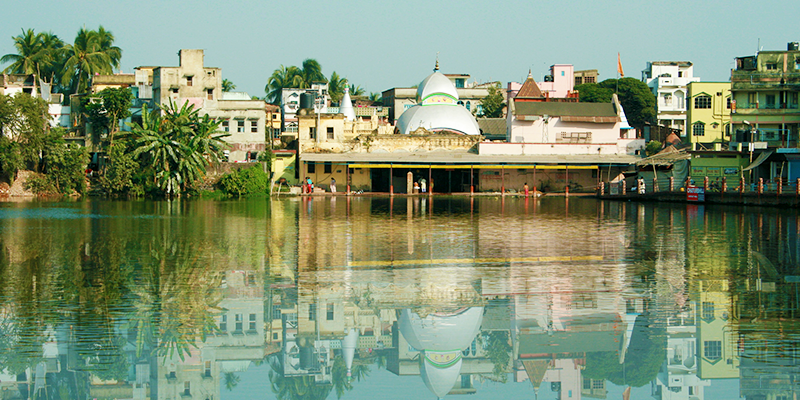 Tarakeshwar Shiva Temple: This temple is a popular pilgrimage destination of West Bengal. The temple has beautiful traditional architecture with a central Nat mandir. There are also temples of Kali and Lakshmi Narayan close by the main complex. I am team leader of Chou dance group of Padmashree award winner, Mr. Nepal Mahato. If anyone is interested in booking call me at: 9547062182 or drop an email at: shubhradipta.mahato@gmail.com. Nice article. Full of information. 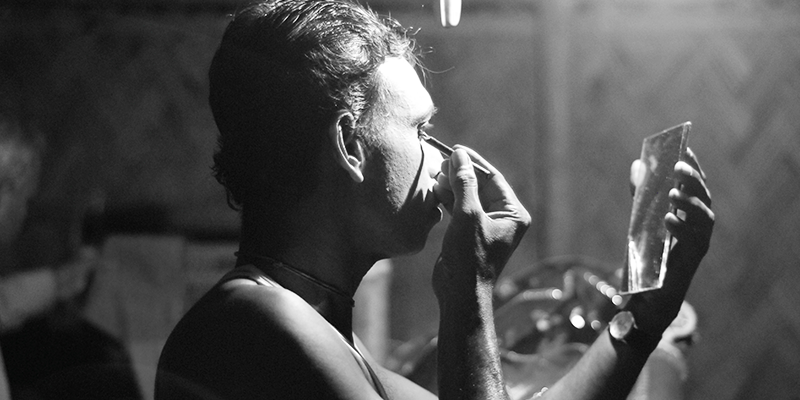 Just finished your beautifully-written about Bolpur Shantiniketan and what stunning photos! I also have a blog and write about the same topic. 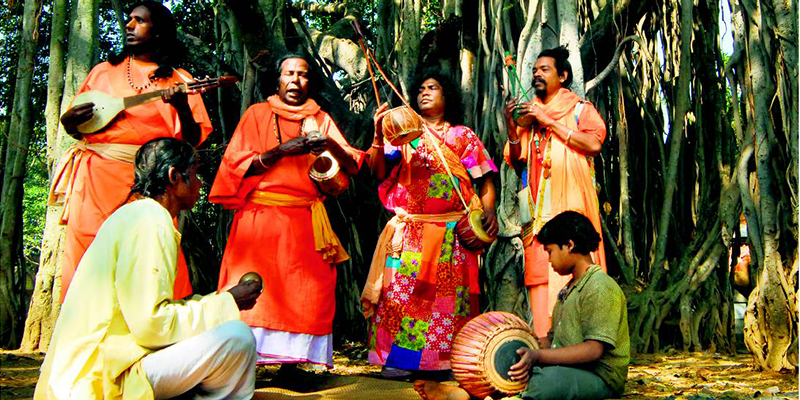 It is “Bolpur santiniketan tour plan guide from Kolkata [Visit 20 Places]”. Please check and share your views.